However, the potential consequences of this action in Florida aren’t at all joyful. The act of using a vehicle without authority or permission can have serious legal consequences – particularly in Florida, where there is no offer of the lesser included offense of “joyriding” to grand theft auto and/ or burglary. Other state prosecutors have the option of charging “joyriding” or “unauthorized use of a motor vehicle” as a lesser offense for those who knew they didn’t have the authority to operate someone else’s a motor vehicle and yet decided to take it anyway – even just temporarily. For example, in Massachusetts, use of an unauthorized vehicle is punishable by between 30 days and 2.5 years in prison, while theft of a motor vehicle is punishable by a maximum of 15 years in prison. At The Ansara Law Firm, our criminal defense attorneys know this lesser charge isn’t an option in Florida. That makes these cases all the more challenging for defense lawyers because we can’t rely on that charge as a means to plead down a more significant case with heftier penalties. However, there are certainly still legal strategies that may be explored. So you took someone’s car and, as it turns out, you didn’t have their permission to do so. Taking someone’s property – either permanently or temporarily – without their permission is how Florida defines “theft” in F.S. 812.014. It can be applied if one uses, obtains or endeavors to obtain or use this property with the intent to deprive the owner of the right or benefit of it and/ or to appropriate it for the taker’s own use or benefit. Florida does not have a joyriding statute and, interestingly, it doesn’t have a specific auto theft statute either. Instead, the crime is defined/ charged based on how much the property costs. Because most motor vehicles cost – at minimum - $1,000 or more, most of these cases are going to be prosecuted as grand theft. The property was worth at least $300. Third-Degree Grand Theft. This involves theft of property that is worth more than $300 but less than $20,000. This is where a fair number of auto theft cases are going to fall. If convicted of third-degree grand theft, a judge can impose up to five years in prison, plus five years of probation and a $5,000 fine. Second-Degree Grand Theft. This is the theft of property worth more than $20,000 but less than $100,000. If convicted of this charge, a judge can impose up to 15 years in prison, 15 years of probation and up to $10,000 in fines. First-Degree Grand Theft. This involves taking property that is worth more than $100,000 or shipping cargo worth $50,000 or more. It’s a first-degree felony, meaning there is a minimum mandatory 21 months in prison, with a possible maximum penalty of up to 30 years in prison. 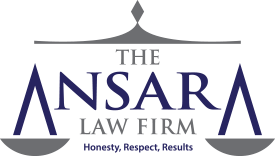 There are a number of ways our experienced criminal defense lawyers may be able to successfully defend a grand theft case. Equal Ownership. If you are a co-owner of the vehicle, you can’t be convicted for taking the property – unless this is a situation in which the person who filed the complaint has some type of superior legal interest in the property. Good Faith Belief. Florida law requires that in order for prosecutors to secure a conviction for grand theft, they have to prove the person intended to steal. If the person had a good faith belief that he or she had the right to the property or that the vehicle owner consented, then there was no requisite intent to commit the crime of grand theft. Action Arising Out of Necessity or Duress. This is when a person reasonably believed a danger or emergency existed and which he or she didn’t cause and which posed significant threat of harm and was real, impending and imminent and the person had no reasonable means to avoid the danger or emergency except by commission of this illegal act. Mistake of Fact. If a person is acting under the mistaken belief that the property he took was actually his own, he or she can’t be charged with grand theft. Hiring a qualified criminal defense lawyer to take on your grand theft auto case is essential to success. Although there is no lesser offense of grand theft, there may be ways we can prevail in having the charges dismissed. In some cases, particularly for first-time offenders, prosecutors will agree to dismiss these charges if the defendant meets certain requirements, such as completion of a diversion course or community service.